Pre-conference dinner on conference eve – this is a great way to get to know participants before the fun starts on the day of the conference! Olivier’s Aikido morning meditation session. It’s unsettling how it’s so much harder to be still than it is to be engaged in constant activity. Learnt at least two new recipes using white asparagus (a regional speciality). The remarkable enthusiasm for the twists and turns in Agile Fairytales, an Agile retelling of stories you’ve grown up loving! Nicole and Marc’s pair conference opening and closing – what a team! By keeping the ceremony short, sweet and simple, they made everyone smile and kept us all engaged. Fresh local food and healthy, too! Kappellerput is a breath-taking venue, with rooms titled ‘Challenge’, ‘Collaboration’ and ‘Reflection’ in a setting surrounded by a forest. It even has it’s own human bird house, this is a hard venue to beat! You really must come see for youself at XP Days Benelux on 25 – 26 November! The fanatastic organisers for their sense of team, fun and always remembering to put the participants at the heart of everything we do. A greater selection of hot meal options at lunch time. I wish I had spent more time getting to know the first-timers at the conference. Observers often come up with better questions than an interviewer because they suspend judgment long enough to listen and respond with another question to clarify or deepen their understanding of what’s being said by the interviewee. To be a good coach, talk less, listen more. Great sessions, such as Pierluigi Pugliese’s session on ‘Solution Focused Agile Coaching‘, require practice, feedback and continuous refinement. When you specify a maximum number of attendees for your session, stick to it to ensure you preserve the overall session experience for the attendees. Presenting a session is one of the most effective ways to learn. It gives you a reason to research and get creative about a topic you feel passionate about and one that others are also interested in, too. It’s also the most direct way to get feedback on your presentation style and practice your public speaking skill. If you’re serious about learning, then do consider submitting to XP Days Benelux this year! Look out for the call for sessions here. We hope to see you at XP Days Benelux, 25 – 26 November in Kappellerput in a sleepy town called Heeze (with a popular ice cream bar) in Eindhoven. Thanks to Tjakko for the great close-up of the Observer role card from The Yellow Brick Road Game on Agile Adoption Through Peer Coaching! 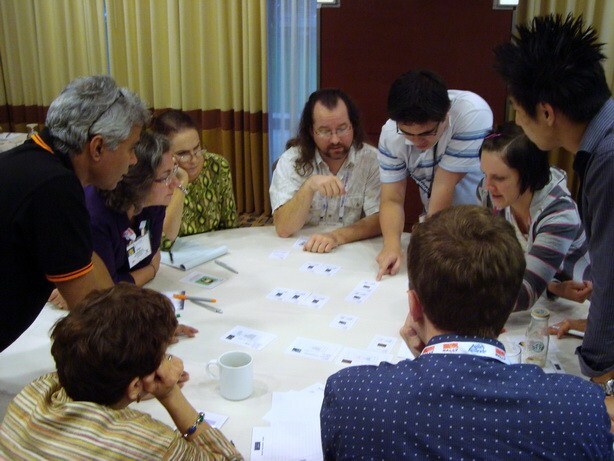 What do you want to learn about Games Facilitation? 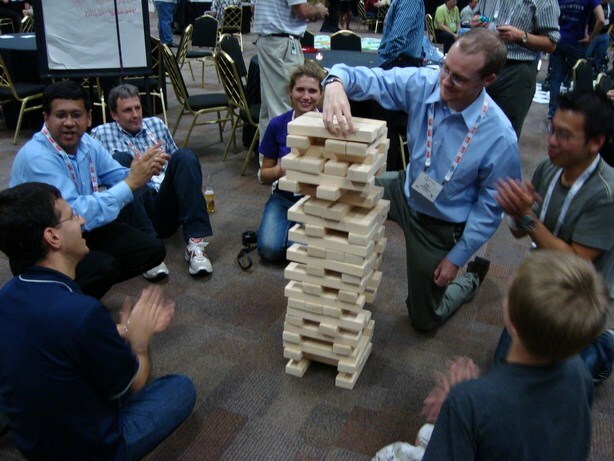 I’ve been invited to present a 90-minute session about Games Facilitation at Deep Agile 2010. And so I would like to exercise the Wisdom of Crowds and ask you this: what do you want to learn about Games Facilitation and why? Reply by submitting a comment (or two!) and I’ll convert them into a set of presentation goals with acceptance criteria. All ideas by 1 May please! Many thanks and hope to see you at Deep Agile 2010. Be there or be square! 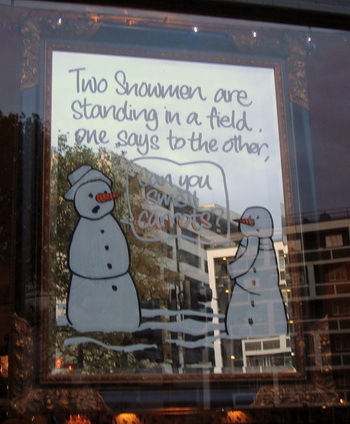 Two snowmen are standing in a field. Imagine. You wake up. It’s Friday. It’s almost the weekend. The first thing you see is a blanket of bright white snow. With a deep breath, you take in the tranquil setting. You feel quietly envigorated. A thought light as a snowflake forms in the snowdome of your mind. Yes. Today’s the day. Today marks a fresh start. A new beginning. And the thought? It is this: ‘I can be better than I was yesterday.’ This thought always takes me back to the Agile Values. Seven simple words. Communication, Simplicity, Feedback, Courage, Respect, Trust and Transparency. How many of us know these words by heart? Words that trip off the tongue so smoothly when times are good? Those same seven words that become a thorn in our side when we come under pressure, leaving us deflated? In Agile, Retrospectives are a good way to take time out and reflect. To have a good root around our minds to make sense of what we have done, what has come to pass and what we intend to do going forward. It’s a chance for others to show you what you cannot see for yourself. It’s an opportunity for putting those seven values into practice. And what about the actions we can take to improve? We don’t have to wait for snow. We don’t even have to wait for a new day or a new year. The moment is Now. 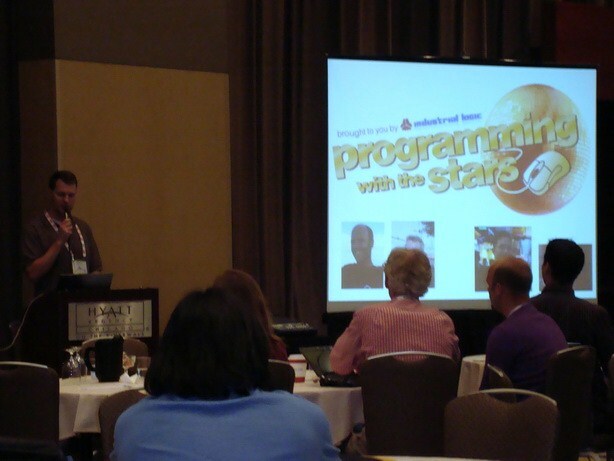 Pairing: Beyond Programming by John Daniels and Dave Cleal at SPA 2009 – What a fun-filled and meaningful session! Flirting with your Customers by Jenni Dow and Ole Jepsen at Agile 2009 which reminded me of the importance of listening ans respect to create rapport and understanding. Barcamp London – What a fantastic and diverse Open Space conference! The hospitality of the teams with whom I’ve had the honour to work with and learn from. A B-I-G Thank You to you all! The warm welcome from the organisers and participants at a myriad of Agile conferences including Agile 2009, XPDay Switzerland, Integrating Agile, ScanAgile and of course XP Days Benelux! Releasing the almost-new and much improved Agile Fairytale: The Yellow Brick Road – Agile Adoption Through Peer Coaching which many found helpful for resolving conundrums at work. Releasing experiential training courses based on the R & D efforts from our games and conference sessions! ‘I wish to meet Seth Godin, Tom De Marco and Dale Chihuly. I also wish to meet Eli Goldratt again.’ I look forward to hearing Seth Godin speak live in April 2010! ‘I wish to try out Agile Fairytales beyond the IT industry.’ I look forward to introducing the Agile Fairytales to people and places such as teachers and students in schools! 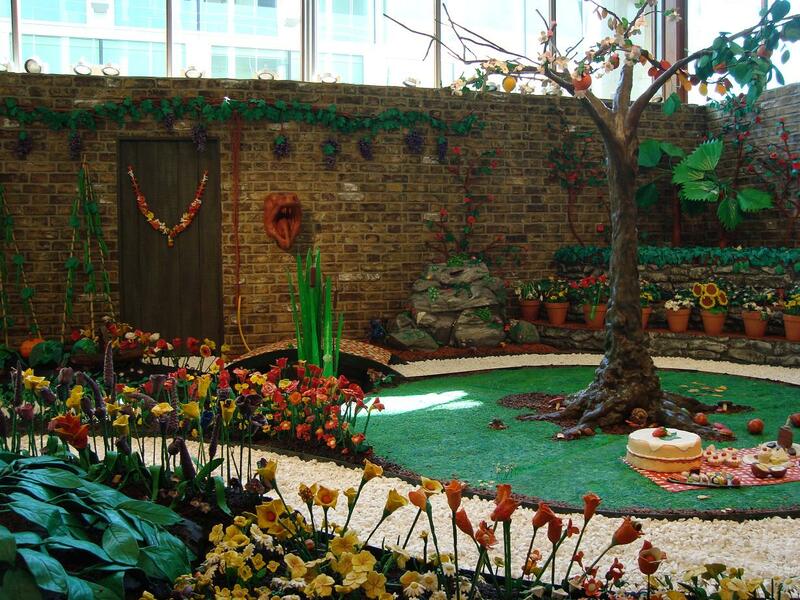 ‘I wish to create a third Agile Fairytale.’ Two new Agile Fairytales are being developed as you read this: Pinocchio – On Becoming a Lean Leader (for SPA 2010) and The Emperor’s New Clothes – Meaningful Interactions in Stressful Situations (submitted to XP 2010). ‘I wish to learn more in 2009 than I did 2008.’ I learnt that the best way to keep learning is with a little help from my friends! I also re-learnt that I need to be more patient and respectful to others and with myself. ‘I wish to present the Snow White and Seven Dwarves Agile Fairytale in French in Paris.’ We ran the session partly al fresco at XPDay France on a fine Spring day in Paris! 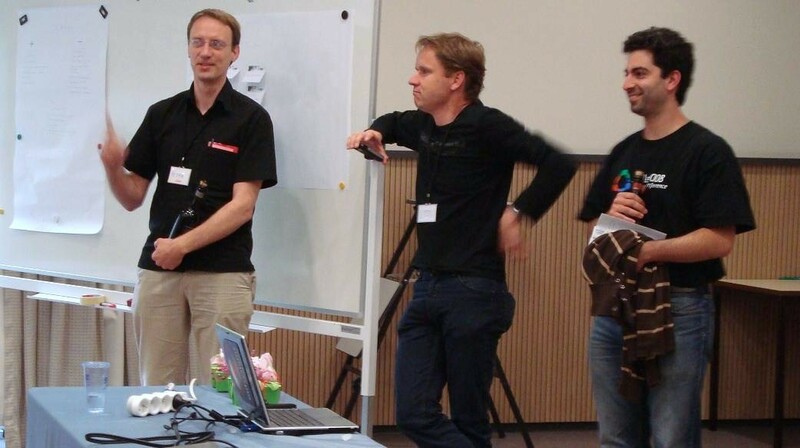 ‘I wish to collaborate with Agilistas such as Pascal and Vera to create A-W-E-S-O-M-E Agile games that help us all become a bit more agile every day.’ Pascal was one of the many people who helped to make the new release of The Yellow Brick Road – Agile Adoption Through Peer Coaching possible! ‘I wish to learn more about Lean and use it more explicitly as part of my Agile Coach Toolkit.’ I’ll continue to consult and coach using Lean as the basis of enduring change. Presenting The Toyota Way with Pascal has helped us to explain how we apply Lean when we work with teams. ‘I wish to create more Agile teams that endure long after the coach is gone.’ I’ve helped to coach a number of teams and seen them flourish and learnt a lot along the way. ‘I wish to receive requests from you, the Reader, on questions you want answers to and the reasons why you need an answer. 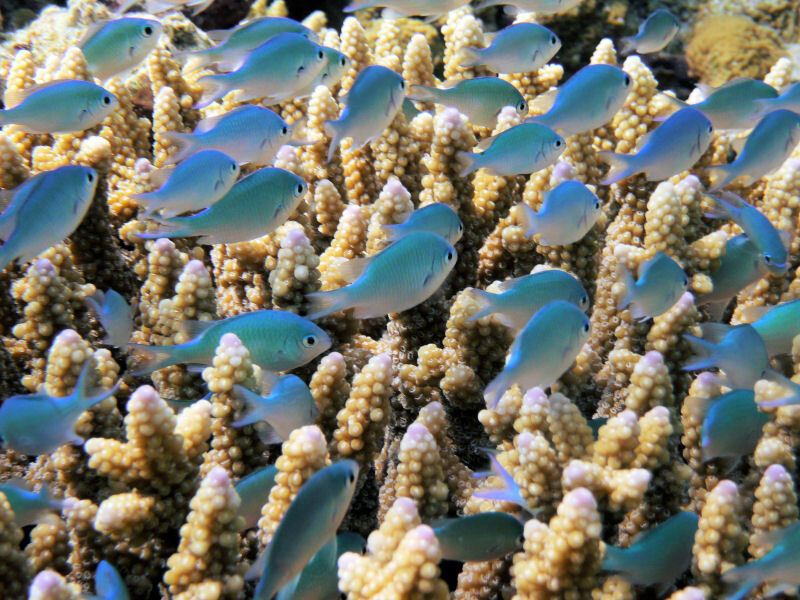 Think Selfish Programming: The Radio Request Blog.’ Thank You! for all your candid feedback on this blog. I look forward to more feedback in 2010! 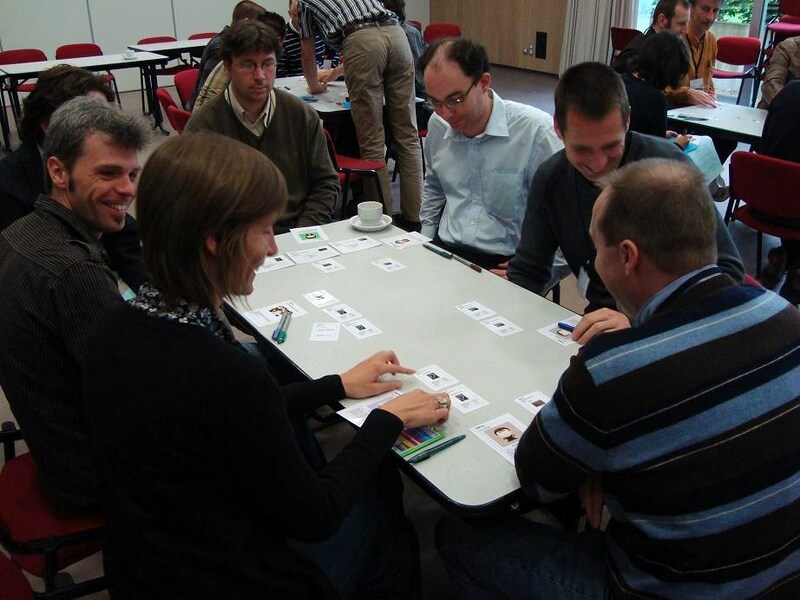 This week begins with another Agile First: the first ever Mini XP Day Benelux conference. The one-day conference is a second chance to attend 9 of the session favourites from XP Days Benelux 2008 based on last year’s participant and conference organiser feedback. 48 participants attended the first ever Mini XP Day Benelux conference! Running 9k in hilly Tervuren forest without stopping once! I didn’t meet as many participants as I would have liked – one day is so short! 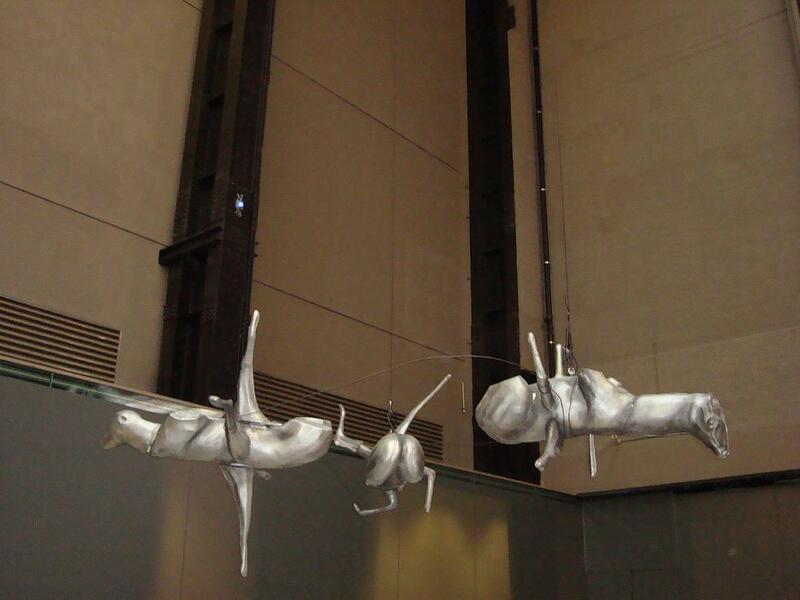 If you already work well as a team, why use Agile? Who learns more: the one who talks more or the one who listens more? Why weren’t topics posted for the Open Space track? 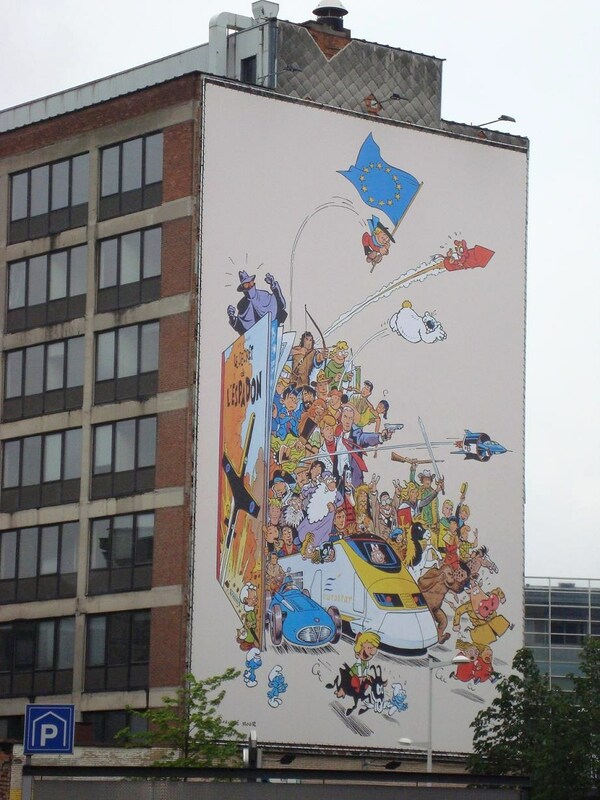 2009 is the year of cartoons in Belgium! XP Days Benelux 2009 (to be held this November in Belgium) is going to be F-A-B if the past conferences are anything to go by. I hope to see you there! For the competing pigeon, the threat of being turned into pigeon pie if they lose the race. Do You Believe in Manifestos? P.: Have you read the Manifesto for Software Craftsmanship? P.: Don’t you find it useful? TJ: Manifestos might be useful to those who write it. If they need reminding of it, I guess they can carry it around in their pocket. P.: I think it’s synonymous with ‘Professionalism’. The thing that resonated with me most when I first came across Agile was the four (and then five) XP Values from Kent Beck’s ‘Extreme Programming Explained’, first published in 2000. At the time, it seemed to make so much sense. And it still does. Common sense by definition endures. For me, Agile represents a common sense approach for mitigating risks on projects against a backdrop of change and uncertainty by providing Real Options. The Agile Manifesto, like the Manifesto for Software Craftsmanship, makes for a short and easy read. What’s more I agree with the points made in both manifestos. The problem with the manifestos isn’t therefore about the content, but rather in its transmission to those new to Agile or outside of the Agile Community. Let’s take the Agile Manifesto as an example. I appreciate the spirit in which the manifesto was written, but I don’t use it when I coach. In my experience, citing the Agile Manifesto typically gives people more cause to resist or reject Agile because they view it as a series of words written by a small clique in a galaxy far, far away. Most people’s immediate reaction to having the pre-fabricated manifesto thrust before them is one of suspicion, skepticism and plain old incredulity. After all, how willing would you be to accept a series of pre-written points without question? Time and time again, I’ve seen how quoting the Agile Manifesto slows down the introduction of Agile unnecessarily, resulting in the creation of waste: a waste of breath, energy and, most importantly, time. 1. 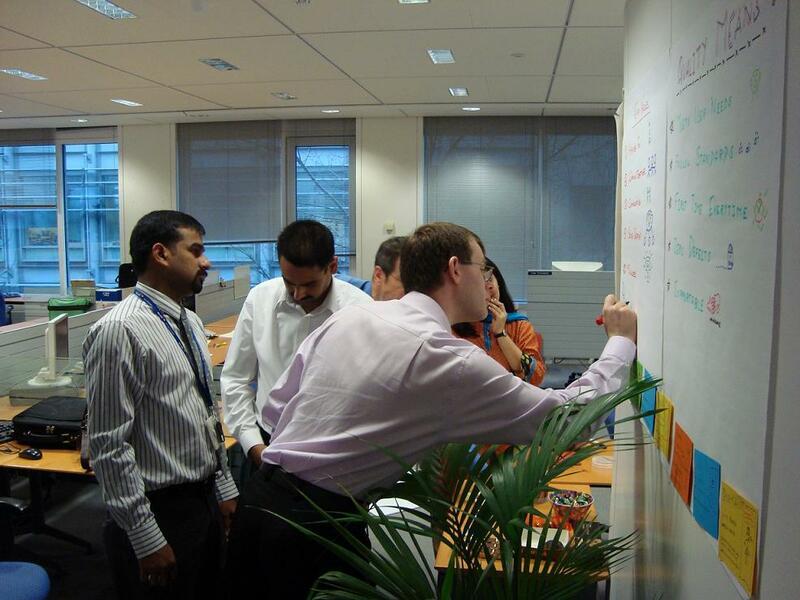 Begin with the team’s values and then link them to the Agile (XP) Values. Demonstrate the importance of teamwork by facilitating the creation of the team’s own Team Manifesto. Use the Agile (XP) Values to start a conversation about the meaning and importance of teamwork. Engage team members by asking them to define each of the values with their own words. 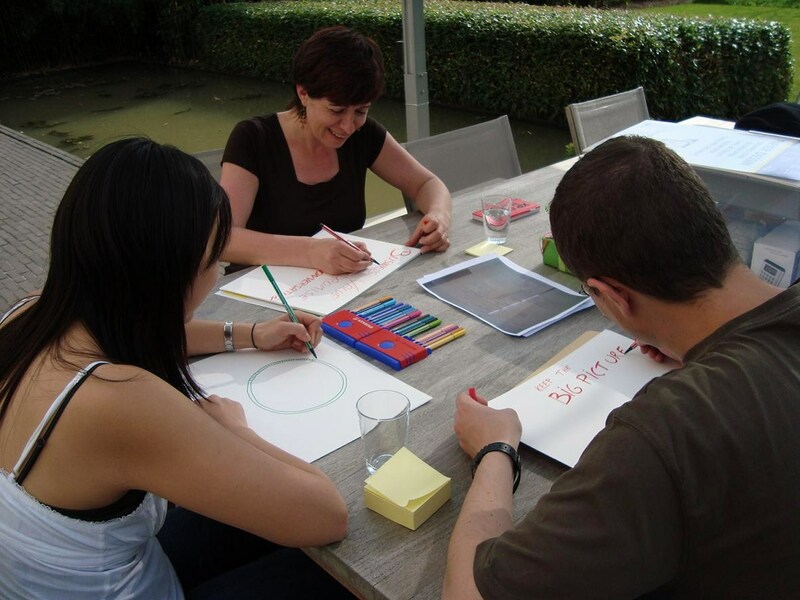 Make the values relevant to each and everyone through a Personal Agility Rating exercise. 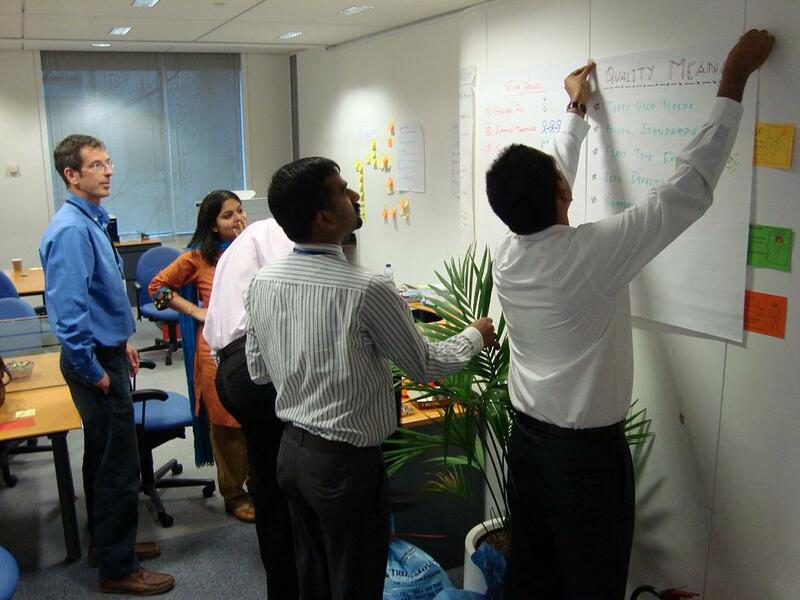 Highlight that the Agile Values together define ‘Collaboration’ (typically one of the values identified by the team for the team during the Team Manifesto exercise). Use the values to establish an agreed way of working. 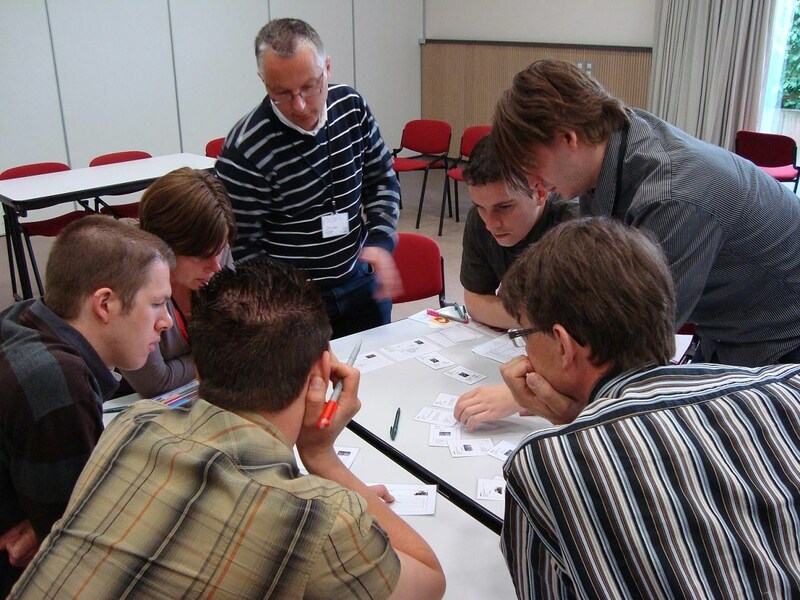 Use the values to continue the conversation about Continuous Improvement during 1-2-1 Agile Coaching. Lead by example by endeavouring to live and work by the Agile Values. 2. Introduce the Agile (XP) Practices. Begin to introduce practices as soon as possible so that the team can experience the difference between the traditional and the Agile way of working. Explain the practices in the context of a typical 2-week iteration. Start off with Iteration 0 immediately, made up of training, coaching, trying out the practices plus any project setup activities in preparation for Iteration 1 when we will begin implementing stories. 3. Allude to the Agile (XP) Principles only if it is valuable to learning. Never talk through the 14 principles in one go because mere discussion doesn’t enhance understanding. How effective is your coaching? P.: Nine out of ten Agile Coaches I meet are those who live by the mantra of Do-As-I-Say-Not-As-I-Do. P.: Some people say that the statistic concerns them. TJ. : Why? Did you name names? TJ. : Perhaps their response is out of guilt? P.: No. They think that it’s better not to hire an Agile Coach since the chances of finding a good one are so slim. TJ. : That’s a concern I share. It’s a buzzword, a band wagon, a meal ticket. It’s a group of practices that enables people to deliver higher business value through better quality deliverables. It’s a fundamental mindset shift that effects everything you do based on values and principles. The multitude of definitions is a sign of growth. It’s part of the evolutionary adoption of a new idea according to Everett Rogers’s Diffusion of Innovations theory, made better known by Geoffrey Moore’s Crossing the Chasm model. Distinguish those who have neither the experience nor the understanding of Agile from those who genuinely apply Agile Values and Principles to the way they work. What they value and why. 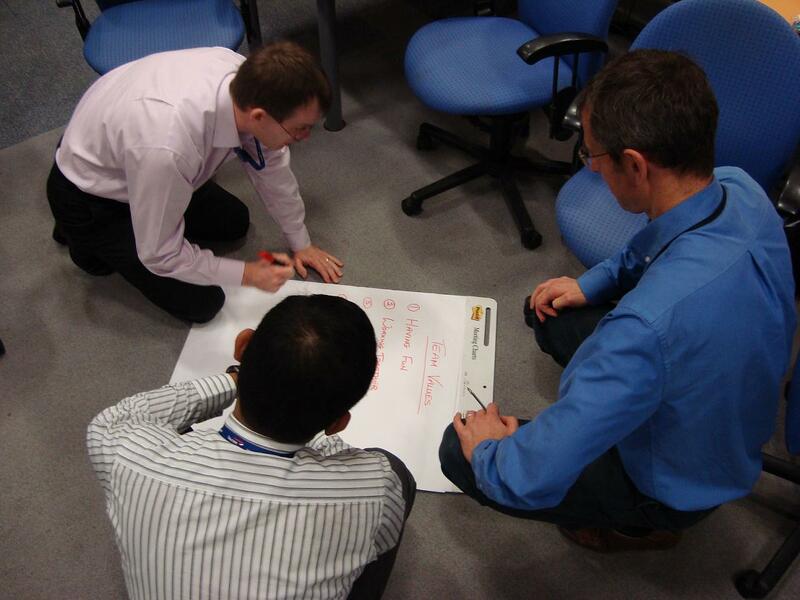 Their knowledge and thoughts on the Agile Values, Principles and Practices. Their knowledge and experience of the Agile Delivery lifecycle and the effects of possible variables (such as time, cost and scope) on the Agile way of working. Examples of where, when, how and why they’ve used Agile or a different approach. How they use Agile for personal development. Why they’re an Agile Coach. Evidence of their professional experience (including online presence, references, recommendations) to determine their credibility. Would I want to work with them, day in day out? If ‘Yes’, why? If ‘No’, why not? Then I reflect on my responses to find out what they tell me about me. If in doubt, don’t hire. If you’re undecided, find other ways of gathering more information. Introduce them to the team over lunch. Or invite them for a day’s worth of work experience. Hire people you can learn from. Prefer team players over self-proclaimed leaders. Always get a second opinion because we all see the world in different ways. I find it useful to pair when interviewing. Make it a WIN-WIN opportunity for you, your company and the new hire. Now we have our team values and the team’s definition of Quality, we’re ready to create our team manifesto out of two A0 posters. A team manifesto should be created by the team for the team. 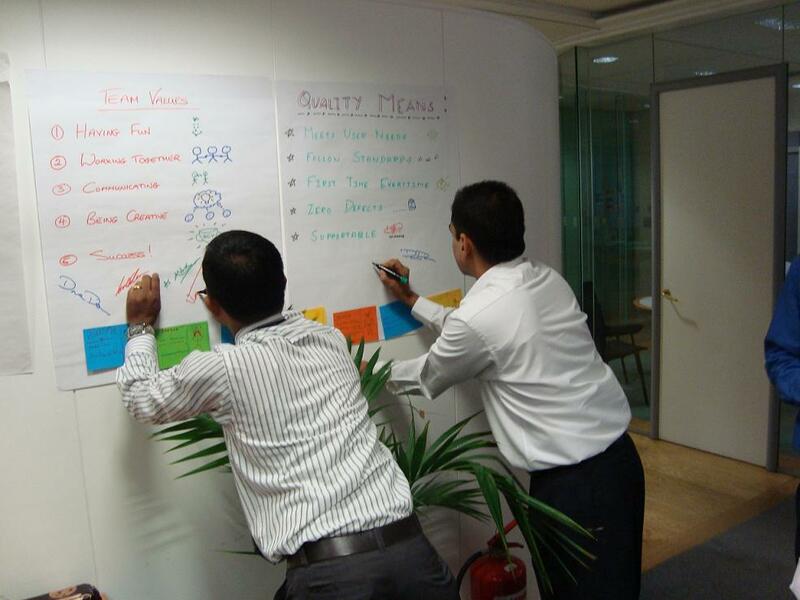 Ask the team to divide up into two groups, one to produce the Team Values poster and the other for the Quality definition poster. Give each group 10 minutes to produce their poster. Tip: Ensure the posters retain the order of the original lists of team values and Quality. Ask the team to post up their poster side by side in the teamspace. Tip: Find a place that is visible from everyone’s desk and, ideally, to passers-by. This serves as a reminder and declaration of the importance of the manifesto to the team. Invite everyone to affirm their commitment to the manifesto by signing below each of the posters. Tip: If certain members are reluctant to sign the posters, find out why. It may be that the team needs to revisit certain points on the posters until they come to a consensus. We suggest adjusting your facilitation style to increase the involvement of those people during the subsequent discussion. It harnesses the collective wisdom of the team. Collective wisdom is an increasingly well-recognised approach for helping disparate groups to find solutions, gain buy-in, resolve conflict and increase respect for one another through shared knowledge. It’s self-enforcing. Refer back to manifesto the regularly. 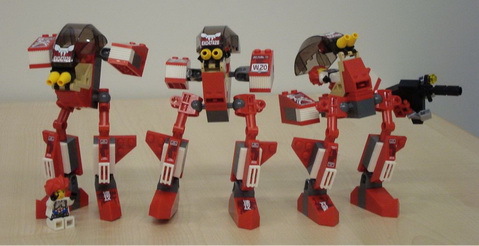 Since the team came up with it, individuals are more likely to behave responsibly and encourage others to do the same. We strongly recommend asking everyone to affirm their commitment by signing the manifesto. Sixty minutes later and we’ve created our very own team manifesto. Smiles everywhere. The team stands back and gazes in silence at what we’ve achieved. You are currently browsing the Selfish Programming archives for the Feedback category.